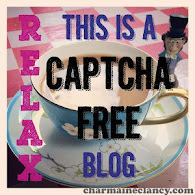 I am stretching Mama Kat's Prompt-Something New You Tried. I am currently participating in the A-Z challenge without a theme, which is the something new. I am posting and commenting every day which is something, I have never tried before and it is time consuming. Yesterday I spent all day on the computer. It has been a challenge to come up with a post for every letter of the alphabet this April. I am glad I have a few done already, so that I can still be doing some posts for my other favorite memes. I hope I can keep all this going, until the end of April. My good bloggy friend, Comtesse Olympe de la Tour D'Auvergne, over at Amphorae keeps me apprised of many things, historical. Apparently the Brits have been digging up their history in carparks. 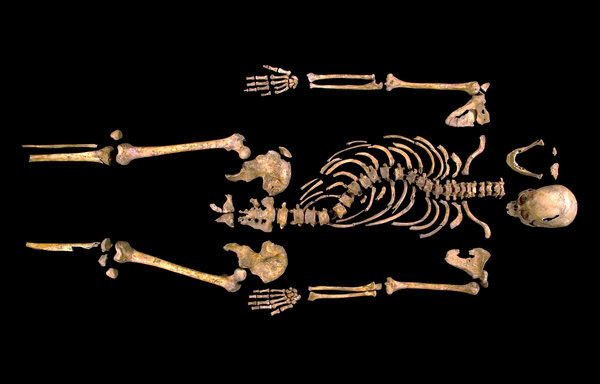 The BBC was first to let us know about King Richard lll being found buried, just where history said he would, be hastily buried by the Greyfriars Priory near Leicester. He has at least two modern-day descendants of his family, who were able to provide the DNA and it is...without a doubt, mean ol' Richard lll. Found in a modern day parking lot. So cool to witness history in the news. It should be easy to link to link the DNA of Richard to the bones of the two boys found in the tower, to determine if they are the two Princes, however, those remains are interred in Westminster Abbey and they are not willing to have the tests made even to solve the mystery of the disappearance of the young princes, during Richard's Protectorate. Then the Comtess, was the first to let me know about another carpark find. 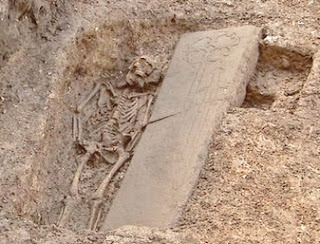 While clearing the carpark to build for the University of Edinburgh, found, was an elaborate sandstone slab, with carvings of a Calvary Cross and ornate sword, marking the grave of a Medieval Knight. "Along with the knight or nobleman's grave and skeleton, the excavation has revealed the exact location of the monastery, which was founded in 1230 by Alexander II (King of Scotland 1214-49) and destroyed during the Protestant Reformation in 1558." says the BBC. The next week the Comtess, was sharing the CNN report of another excavation, of what is believed to be 14th century Black Plague victims. This time it was while historians and builders were excavating for a new London rail link, so, still transportation related. "Historical records talk of a "no man's land" established in 1348 in the Farringdon area, where some 50,000 plague victims were buried, according to a contemporary historian. Up to now the area has never been found." This was a find of about 13 victims, with many questions still to be answered. Sharing this post at Mama Kats #2 Something new you tried. I am amazed that, even after death, we can still learn so much from people. Great post! I'm a huge history nerd! This stuff is right up my alley. I envy those who live in Europe. All that history right (literally) under their feet! Thanks for sharing this. I LOVE history too. Who needs parking lots when there is archaeology to be done. How interesting. I have been thinking that I need to do more traveling with my children and expose them to the history of our county. I think stuff like that is so cool. I love watching BBC and the HIstory channel for stuff like this. What an interesting topic. It's amazing all the information they can get from a grave site! Imagine being linked by DNA to a history great. Amazing! I heard about this dig. Exciting. Fascinating! History is so intriguing, and that truly is a great find. Lucky them. I like the idea of writing everyday using the letters of the alphabet. Only if I had the time... good luck! It's a shame that Westminster Abbey refuse to have the tests made. It makes them look like they are afraid the results. Very cool post! So the princes get laid to rest in the abbey and the king gets chucked into an ol' carpark, beautiful I love it. How very cool! Phenomenal that they are finding all of these things so spoken of in history. I wish they'd allow the testing.